Keeping your home clean is a topic that has been keeping people talking for years on end. You can find tips on how to keep your house clean from your friends, online, in magazines, and on television. 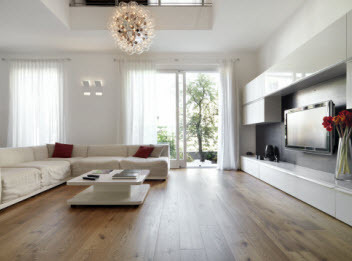 One of the areas that can be hardest to keep clean but can make the largest impact if they are clean is your floors. If you have ceramic tile flooring there are many different tips for how to keep it clean. One of the easiest things that you can do is sweep or vacuum your tile floors daily to keep dust and loose dirt off of your floor. While this may sound like an overwhelming task, if you do it every day it will not take that long. There are many battery operated vacuums that allow you to quickly vacuum your floor at the end of each day. If you keep the dirt and dust off of your floor it can help your floor stay cleaner in between mopping. In addition to sweeping or vacuuming your tile floors daily, you will need to regularly mop it as well. There are so many mops and cleaning agents on the market that it can be hard to decide on what to use. Our research has shown that it does not truly matter what you choose as long as you are not using stiff or metallic bristles to mop your floor. You will want to make sure that you use a mop that is soft. It is not recommended that you use vinegar, chlorine, ammonia, or anything acidic to clean your tile floors. Many studies have shown that simply using warm water is the safest for your tile and is extremely effective as well. If you cannot get rid of the stain on your tile with warm water use a mild household detergent. You can do a few other things as well to help your tile looking fabulous for years. You can buy felt pads for the bottom of the legs of chairs or tables. Putting felt pads on your chair and table legs is easy and inexpensive. The felt pads will prevent your tile from being scratched. 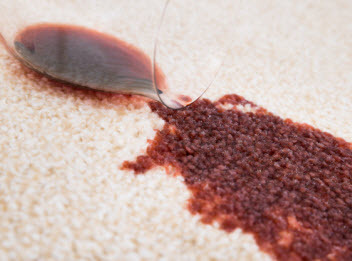 You can also use rugs at your doors so that your mats can catch loose dirt and grime before it gets on your floor. Taking the time to seal your grout will also help your floors last longer. Grout is the material that fills the space between the tiles and helps your tiles stay in place. Grout is porous and can easily get dirt and debris trapped in it. Your grout can be sealed so that the dirt and debris will not be able to get trapped in it. Sealing your grout is inexpensive and easy to do and the benefits are definitely worth it. When homeowners take the time to keep their tile and grout clean they can make it stay looking beautiful for years. All of the tips listed above can be enhanced with professional tile and grout cleaning once a year. Go Green Carpet Cleaning & Restoration wants to help your tile stay nice and clean by providing you with your tile cleaning services. Give us a call today!